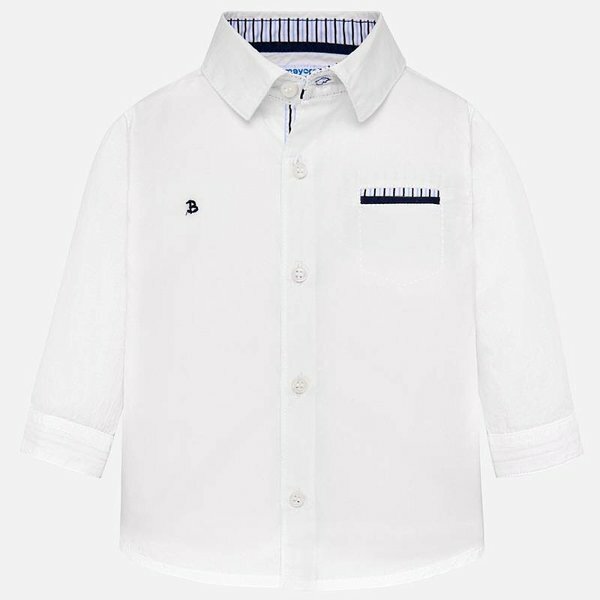 Long sleeved shirt with buttoned cuffs for baby boy. 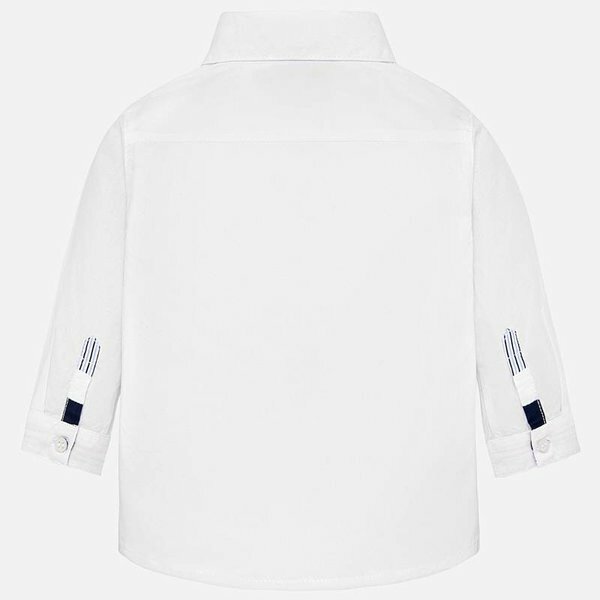 Shirt collar. Button fastening on the front. 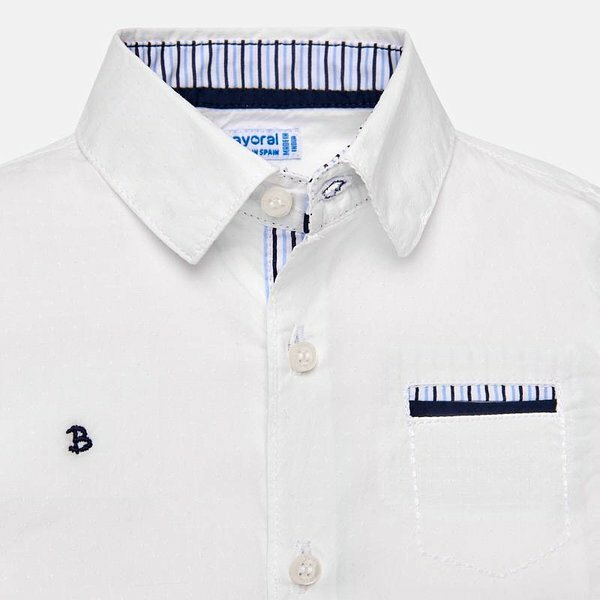 Comfortable poplin fabric, which is both easy care and durable. Functional front pocket. Decorative elements: embroidery. Sleek design.